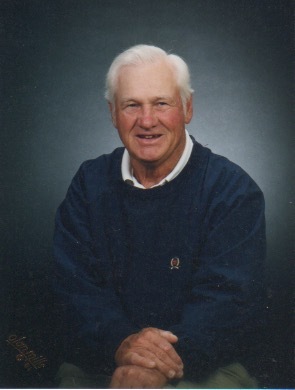 Mr. Bobby Lamon Anderson, Sr., 87, passed away Thursday, April 11, 2019, at his home in Covington. Mr. Anderson was a member of First United Methodist Church and served in the National Guard. He leaves his wife, Patricia Ralph Anderson; sons "Bo" (Lydia) Anderson, Jr., Robin (Lee) Anderson, and Pat (FuFu) Anderson, all of Covington; grandchildren Keno (Erica) Anderson, Kayo (Diana) Anderson, Kurt (Laura) Anderson, Keith (Casey) Anderson, Ky Anderson, Taryn Anderson, Dane (Sloan) Anderson, Roby (Anna) Anderson, DeAnn (Jason) Hughey, and Ashley (Tyler) White; and great-grandchildren Maddox, Marlee, and Maddon Anderson, Bishop and Josie Anderson, Owen, Layton and Ella Anderson, Baylor and Mollie Keith Anderson, Carter Anderson, Whitley Grace and William George Anderson, Jackson, Jake and Jan Clair Hughey, and Tyson and Delanie White. Mr. Anderson was preceded in death by a sister, Patricia Anderson; and brothers E. E. Anderson, Jr. and Larry Anderson. Services will be 2PM Monday, April 15, at Covington First United Methodist Church, with visitation one hour prior. Rev. Dan Camp will officiate. The family asks that any memorials be made to St. Jude Children's Research Hospital or LeBonheur Children's Hospital.